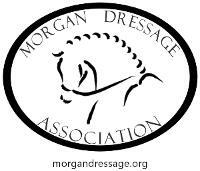 While the Morgan Dressage Association does not accept conventional advertising at this time, we do offer several advertising options and sponsorship opportunities to our members and supporters. • Classified Ads are FREE for MDA members. All submissions will be published on the web site for three months, as well as in the MDA newsletter depending on space available and timeliness. The Association reserves the right to remove classifieds that are not renewed or updated after three months, and to limit ads over 50 words due to space constraints. It is the responsibility of the lister to ensure that ads are up-to-date. Please notify us if you sell a horse or item so we can remove the listing. If you would like to place a classified ad or would like more information, please contact Classifieds Chairperson. • Group Advertisements. Periodically,, the MDA offers "group" advertisements at special discount rates. Please contact our Marketing/Promotion Chairperson for more information. • Business Listing. For $25, your business card or logo and farm/business name with a hot- link to your website will be displayed in the Membership Directory and on the MDA website. In addition, your business card/logo will be displayed at least once in either the newsletter or MDA Extensions, and included in the Directory of Professionals and Services. Please contact our Marketing/Promotion Chairperson for more information. • Upgrade to a Patron Membership. Patron memberships are available for $100/year. Please see our membership application to apply. • MDA Scholarship Program. Each year, the MDA provides scholarship opportunities for its members. These scholarships have been supported in the past through our Stallion Auction, as well as through membership dues. Donation of funds toward our scholarship program allows us to provide more educational opportunities to our membership. Please contact our Scholarship Chair for more information. • The MDA Awards of Excellence. Donations of funds toward award gifts for category champions are always welcome. Sponsorship of awards categories (e.g. First Level Open or Third Level Adult Amateur) is also available. Please contact our Awards Chair for more information.